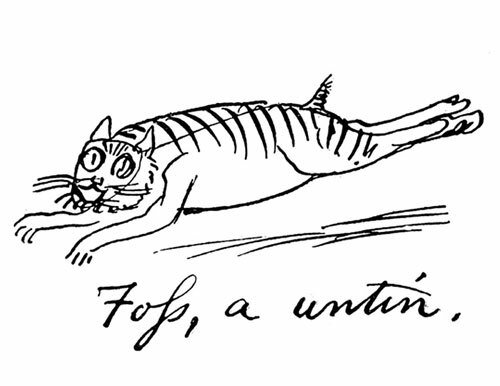 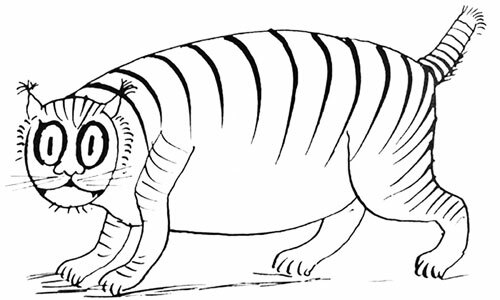 Foss | Edward Lear: Two Hundred Years of Nonsense! 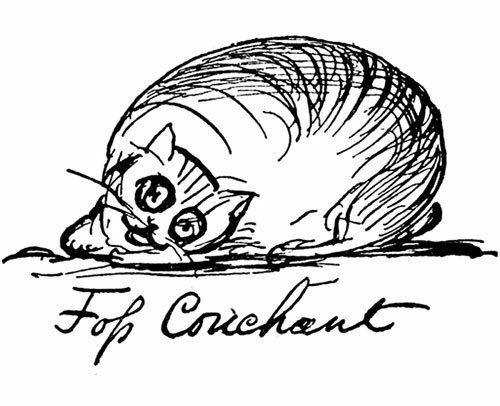 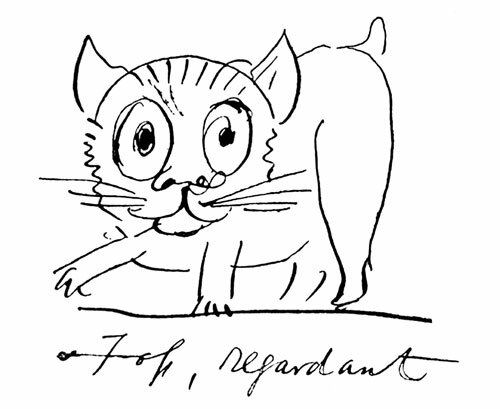 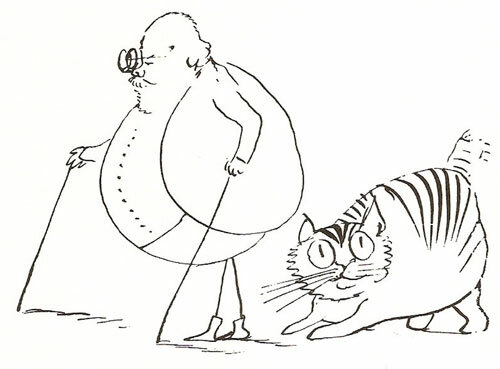 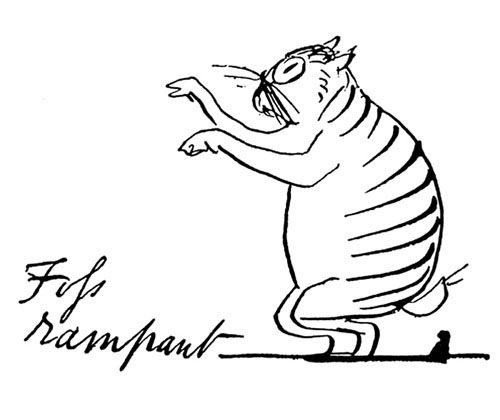 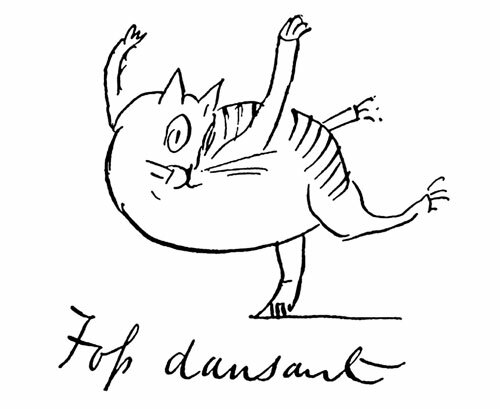 Foss was Edward Lear's beloved cat, who appears in many drawings and sketches. 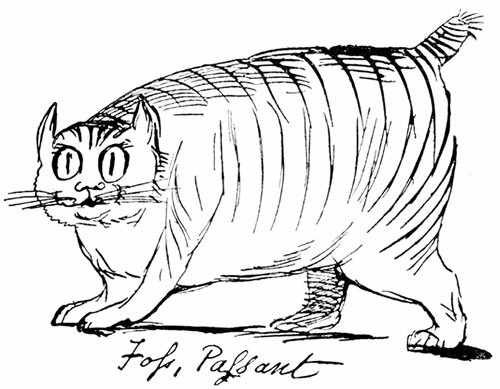 Foss only had half a tail; it is said that a servant cut it off in the belief that doing so ensured the cat would not stray. 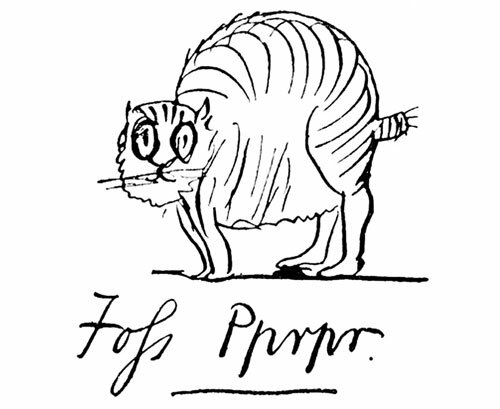 By most accounts Foss was not a particularly attractive cat; yet Lear doted on him and sketched him often. 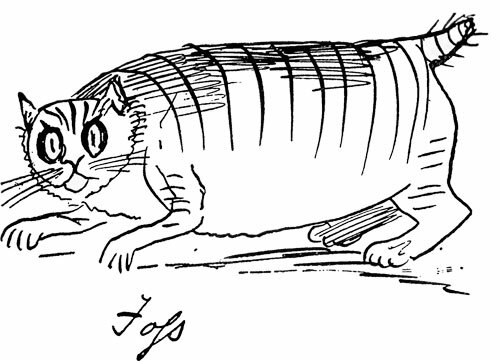 One legend claims that, when Lear built a new house, he instructed the architect to design it to be exactly like the old one, so that Foss would not be too upset by the move.